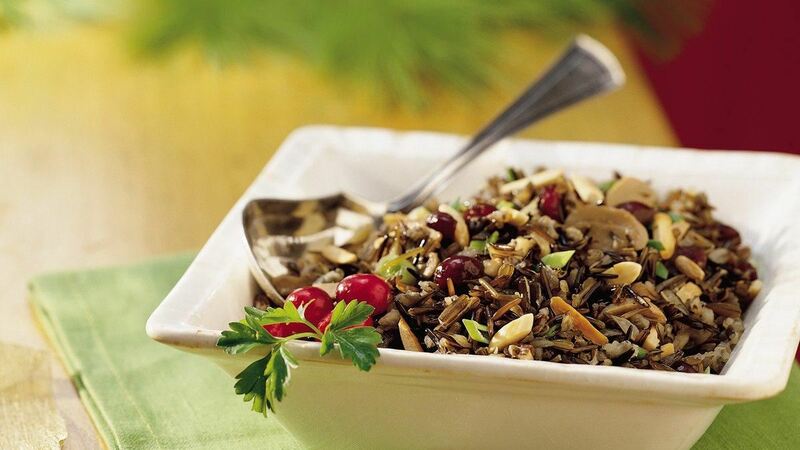 In 2- to 3 1/2-quart slow cooker, mix all ingredients except almonds and cranberries. Cover and cook on low heat setting 4 to 5 hours or until wild rice is tender. In ungreased heavy skillet, cook almonds over medium-low heat 5 to 7 minutes, stirring frequently until browning begins, then stirring constantly until golden brown and fragrant; set aside. Stir almonds and cranberries into rice mixture. Cover and cook on low heat setting 15 minutes. Substitution: Many supermarkets now carry a wide variety of dried fruits. Dried blueberries or cherries are delicious substitutes for the cranberries. Success: Toasting the almonds not only enhances their flavour and colour but also helps prevent them from becoming soggy after they are stirred into the wild rice mixture.